Driven by a strong background in Quantitative analysis and Finance, I am motivated and willing to provide valuable contribution to an entity through evaluating investment opportunities, optimizing operations and coordinating processes to ensure that profits are maximized with minimal usage of resources while maintaining highest levels of effectiveness and efficiency. 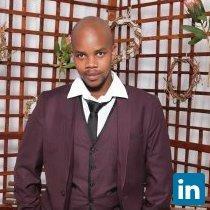 I also have a passion for Integrated Marketing , sales and strategy formulation. Demonstrates the ability to gather, order information and submit detailed information for processing orders. Maintains accurate records of all sales and prospecting activities including sales calls, closing deals and other follow up activities. Complete understanding of quotes process and pricing. Provide timely feedback to senior management regarding international sales performance. Coordinating administrative duties, advertising and updating client base.